How does T cell therapy work? T cells are taken from the patient’s blood and then modified using lentivirus, adenovirus or RNA electroporation. The modifications allow us to reprogram T cells to recognize cancer cells. When they are introduced to the patient’s body, the T cells multiply rapidly, seeking out and destroying cancer cells. The T cells also usually remain in the body long after infusion and continue fighting any new cancer cells. The Multisizer is one of the most intensively used devices during cell manufacturing procedures. It is our work horse. Please can you give an introduction to the core T-cell expansion technology used at the Clinical Cell and Vaccine Production Facility (CVPF)? The core platform technology at the CVPF is the use of artificial antigen presenting cells (aAPCs) for the expansion of T-cells. This includes both proprietary CD3/CD28 bead-based and modified K562 cell-based aAPC technologies to stimulate and expand T cells. Both of these matrixes – solid beads and self-replicating cells – provide a stimulatory and co-stimulatory signal to the T-cells, which then divide multiple times. Using these methods, we can achieve a significant expansion and high purity of T cells. Currently, the technology we use is time consuming and labor intensive and requires highly trained personnel to maintain a controlled environment. One of the goals of CVPF is to transform these methods from boutique to mainstream technologies that can be used to treat thousands of patients. How do the bead-based and modified K562 cell-based artificial antigen presenting cell (aAPC) technologies differ? In the bead-based technology, beads are coated with antibodies that bind to the T cell and activate it. These beads are commercially available, but selection of the antigen is quite limited. The goal is to use both stimulatory and co-stimulatory signals. Specifically, the stimulatory signal is provided by an antibody against a protein on the T cell called CD3 (anti-CD3 antibody) and the co-stimulatory signal is an antibody against the CD28 protein (anti-CD28 antibody). The cell expansion is much greater if you stimulate both of these signals, as opposed to just CD3. This presentation of the bead-based antigen to a purified T-cell culture is how the process is initiated. Then, these beads are removed using magnets (the beads have an iron core). These beads must be removed before the T cells are infused and this is one of the drawbacks of this technology, as it’s quite a labor intensive procedure to remove them. When we use a K562 or other cell line, which can express the same kind of molecules as CD3 and CD28, the K562 cells have done their job and eliminated within a matter of days after they provide the stimulation. Another advantage is that they are more customizable compared to beads, which can make them less expensive to use because we can produce the antigen of interest in-house. There are advantages and disadvantages associated with both technologies. Why is a matrix for the cell stimulation so important? A matrix is important for cell stimulation because it induces surface receptor cross-linking, which is critical for functional activation. These can result in a very high level of T cell expansion, sometimes up to 100-fold. Some studies have also shown that antibody stimulation of T cells without carriers (in a liquid form) is less effective than with the conjugated version. Stimulation of the cells using the beads can provide a longer lasting effect, although, as I mentioned before, there are some drawbacks associated with both methods. There is also concern over affordability because the beads are quite expensive. What level of expansion of the T cells can these technologies result in? During the manufacturing process, we regularly see 10 to 40-fold expansions of T cells. In some cases, it can be up to a 100-fold. It varies from patient to patient and depends on the condition of the cells, the stage of disease and whether the patient has recently had chemotherapy or other therapies. However, in many cases, we want to expand T cells from a relatively small number to several billions, particularly in haematological malignancies such as CLL and ALL, where T cells often represent a very small percentage of the total number of nucleated cells. We can achieve the dose necessary using either method. How do you determine the viability of the cells? Currently, we are using either Trypan Blue staining with the hemocytometer and microscope or flow cytometry. It is time consuming method that has several drawbacks such as a lack of statistical robustness and subjectivity of counts amongst users. We are currently evaluating several models of automatic cell counters for determining viability and we are expecting to introduce these into clinical practice shortly. How important is cell volume measurement in your protocol? In our case, the Multisizer is one of the most intensively used devices during cell manufacturing procedures. It is our work horse. We use the Multisizer to obtain information about cell volume and cell size, while the flow cytometer provides us with information about particular subsets of cells such as T cells and B cells. Our strategy regarding how to proceed in each case, is based on the information obtained from both methods. Volume is quite important for giving us information about cell activation status because once a cell is stimulated, it increases in size. 6-7 days after stimulation, the cells become smaller and less active once they are in the rested state. We therefore need to know during the ten days of culture, whether cells were activated properly and are in the rested state by the end of the culture. This means monitoring the cell volume and cell number on a daily basis during this period. Considering the number of cultures that we carry out simultaneously, the Multisizer is very useful and critical for our needs. Our facility is GMP compliant, which stands for “good manufacturing practice”. To achieve this compliance, a high level of accuracy in analytical methods is essential. We also need to be able to distinguish cell subsets of different volumes, across diameters of between at least four and 25 microns. This range is well within the capabilities of the Multisizer we use. Please can you explain why you decided to use the Multisizer Coulter Counter from Beckman Coulter? We had already used Multisizer 3 for more than 10 years and knew how reliable and accurate it is. It is also Quality Control friendly and GMP compliant, as well as having a good sensitivity and an easy-to-use interface. Recently CVPF expanded operations and now we have several Multisizer 4. 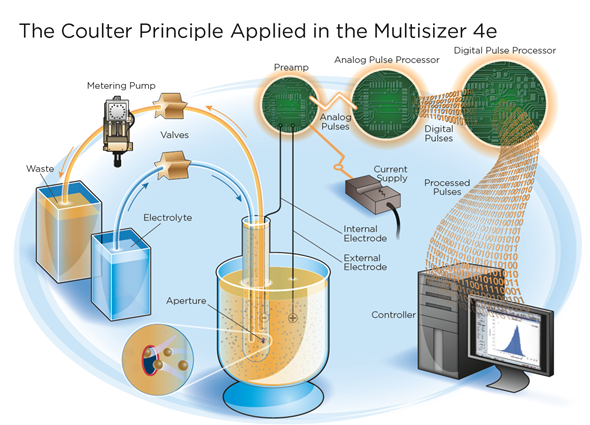 How does the Multisizer Coulter Counter use the Coulter Principle? It allows us to detect cell number and cell volume simultaneously, very quickly and at a very high resolution, it very much suits our purposes to monitor cells using a principle of a cell counter. The Multisizer Coulter Counter also uses a Digital Pulse Processor (DPP), please can you explain how this impacts the accuracy of the technology? This DPP technology allows us to perform multi-channel analysis at a high resolution and with really high accuracy. The high-speed digitalization of signal enables us to use multiple parameters for more accurate particle characterization. How easy to use is the Multisizer Coulter Counter and is there a steep learning curve? It’s relatively easy to use and our training to use the equipment only takes a matter of hours. We do have a specific standard of practice (SOP) for using Multisizer in our facility. Also, switching from Multisizer 3 to Multisizer 4 offered several advantages, as not only can we now determine the number of cells, but we can see the volume of cells at the same time, which is something the Multisizer 3 could not offer. The Multisizer is quite user friendly and has customizable software we can use to generate a particular SOP that can deliver the parameters and statistics pretty much instantly. We are therefore quite satisfied with it. In what ways could the Multisizer Coulter Counter be improved going forwards? We have multiple rooms where different cell cultures are performed, but it would be quite costly to install Multisizer in each of them. We would like to have something a bit more portable installed in each of our culture room. A high throughput would also be desirable. Being able to analyze multiple samples simultaneously in a short period of time would be useful because sometimes we have to count hundreds of samples each day. What do you think the future holds for T cell expansion technologies? What would be useful is something referred to as a “closed system.” Currently, we need a highly trained operator to ensure a controlled environment in the room, but if we were able to create a closed system that does not require manipulation by an operator, human error would be minimized and a lot of companies are currently working towards this. In addition, automated systems would mean decrease in cost of manufacturing, making the technology more affordable and available on a worldwide scale. What are CVPF’s plans for the future? Following our recent progress in cell therapy methods and the ground-breaking discoveries made by Professor Carl June at the University of Pennsylvania, CVPF has been rapidly expanding over the last couple of years in order to provide treatments for more patients. CVPF continues to be the hub of basic science and clinical research. We are developing new treatments for different kinds of cancer, including solid tumors. Are many other labs following the same technology at the research level? CVPF right now working very closely with Novartis on the worldwide expansion of this technology. So they are not only investing into University of Pennsylvania, but they built a facility in New Jersey where they are working on large-scale production. Other well-known centers working in cell therapy field are Memorial Sloan Kettering in New York and MD Anderson Cancer Center, Texas. 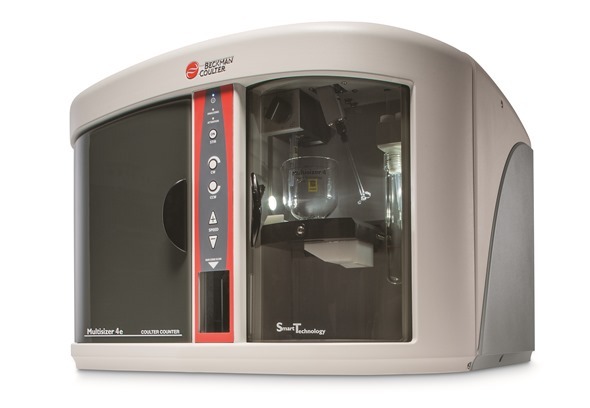 The Multisizer from Beckman Coulter has been mentioned in over 50 cell analysis publications, covering mammalian cells, bacterial cells, and nanoparticle analysis. 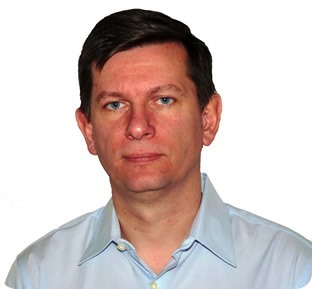 Since 2012 , Alexander Malykhin has been a Quality Control Laboratory Supervisor, Clinical Cell and Vaccine Production Facility, University of Pennsylvania, Philadelphia, PA, USA. Prior to this he worked as a Validation Scientist, Ovarian Cancer Research Center, University of Pennsylvania, Philadelphia, PA, USA. From 2001 to 2008, Alexander was a Laboratory Manager, Immunobiology and Cancer Research Program, Oklahoma Medical Research Foundation, Oklahoma City, OK, USA and prior to this he worked as a Forensic Analyst, Department of Forensic DNA analysis, State Forensic Center, Minsk, Belarus. Alexander holds a Master of Science degree (M.Sc.) in Biochemistry/Molecular Biology from Belorussian State University, Minsk, Belarus.